Orbital ATK readied an upgraded Antares rocket for launch Monday from Wallops Island, Va., to deliver more than 3 tons of crew supplies, science gear, spare parts and three small satellites to the International Space Station to test miniaturized, low-cost technologies for Earth observation applications. 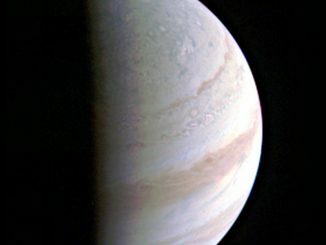 The experiments headed for orbit include a quantum physics study that will attempt to cool atoms to a billionth of a degree above absolute zero, another to test a novel technique for separating liquids and one devoted to learning more about how concrete sets up in the absence of gravity. “A lot of time when I’m asked what’s the research that I do, and I just say simply concrete, people give me a blank look and say they don’t give a Ph.D. for concrete research. Well yes, they do!” said Aleksandra Radlinska, principal investigator for the Microgravity Investigation of Cement Solidification, or MICS, at Pennsylvania State University. With forecasters predicting a 65 percent change of favorable weather, the Antares rocket was scheduled for liftoff from pad 0A at the Mid-Atlantic Regional Spaceport — MARS — at NASA’s Wallops Island, Va., facility at 4:39 a.m. EDT (GMT-4) Monday. Launch originally was planned for Sunday but it was delayed one day due to weather and additional inspections. It will be Orbital ATK’s ninth launch of a Cygnus cargo ship under an 11-flight contract with NASA that is expected to total $2.89 billion, or $262.6 million per flight, according to NASA’s inspector general. 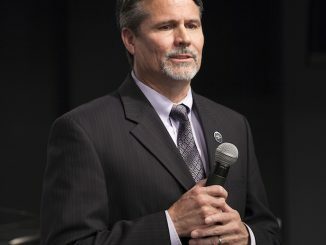 The company also holds a follow-on contract for at least six resupply missions at an as-yet-unspecified cost. SpaceX also holds NASA contracts for commercial resupply totaling $3.04 billion for 20 flights, averaging $152.1 million per flight. 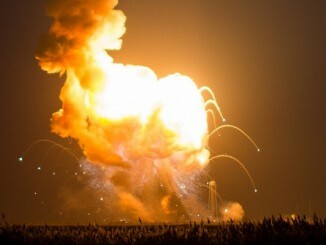 Each company has suffered a resupply launch failure with SpaceX losing a Falcon 9 rocket and Dragon cargo ship in June 2015, eight months after an Antares failure seconds after liftoff in October 2014. Assuming the upgraded Antares 230 gets off on time Monday, the Cygnus cargo ship will execute an autonomous rendezvous, catching up with the station early Thursday. The lab’s robot arm then will be used to capture the spacecraft and pull it in for berthing at the central Unity module’s Earth-facing port. The astronauts will unload the cargo ship and re-pack it with trash and no-longer-needed equipment. 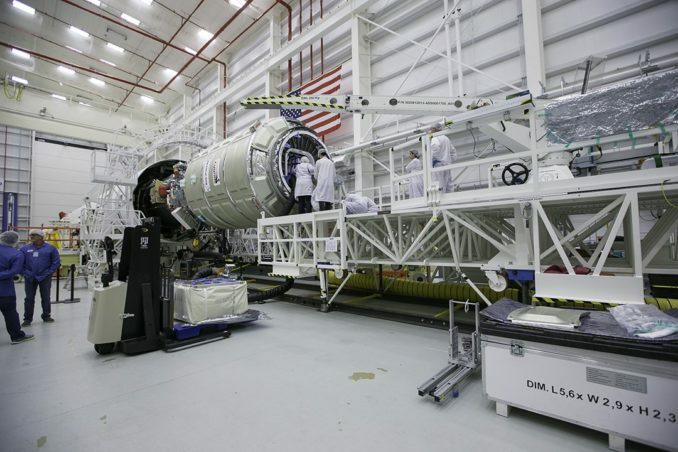 If all goes well, the Cygnus will be unberthed and released from the station in mid July. Another six small “cubesats” will be deployed before the spacecraft plunges back into the atmosphere and burns up.